You can place the device in your pocket and take it out whenever you want to use your effect. No tubes up your arm or explosive canisters. 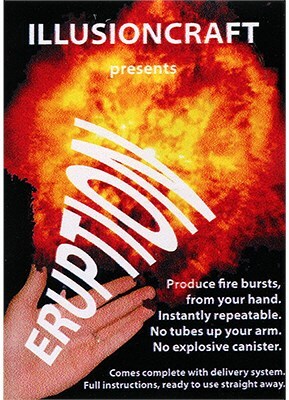 Eruption is instantly repeatable, without the need to reload. You have full control where the flame goes and how large a flame you produce, and when you produce the flame. You are ready to use instantly.